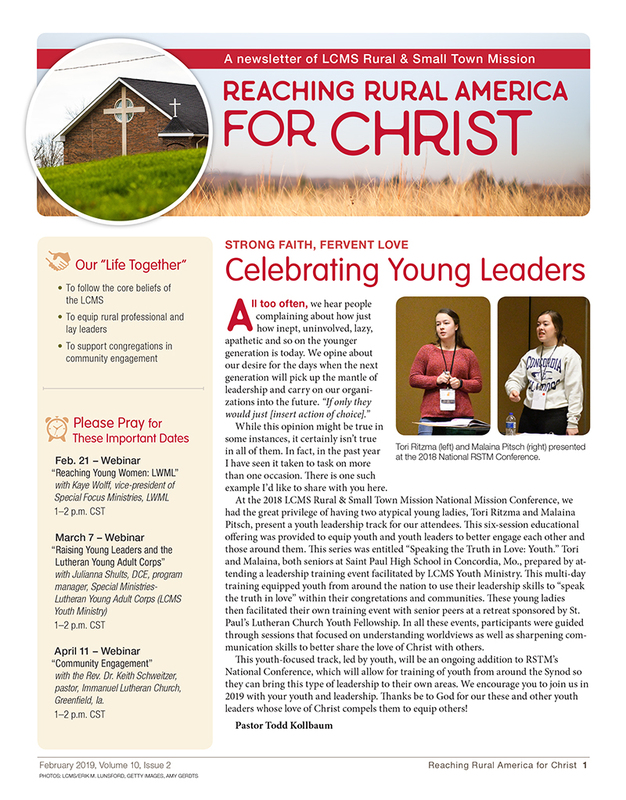 This issue of Reaching Rural America for Christ provides insight into how congregations can more effectively involve young women in church programs and activities. A few outreach strategies to engage with young women include seeking to meet their needs, providing service opportunities that work with their lifestyles and being open to new ideas. The newsletter also has information about free monthly webinars, including “Reaching Young Women: LWML” on Feb. 21.